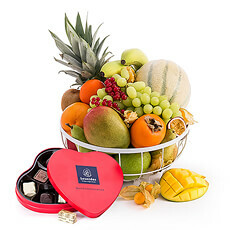 Valentine's Day gifts delivered in Monaco for February 14th, 2019. 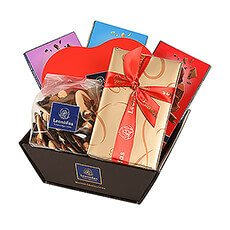 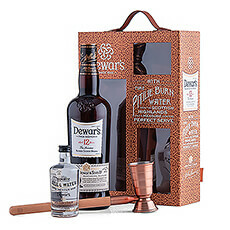 Send your loved one fine Belgian chocolates, top-rated wine, a Valentine's gift basket, or one of our other romantic gifts. 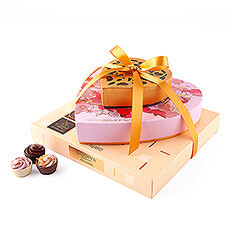 Beautiful Valentine gifts for Monaco to show your affection. 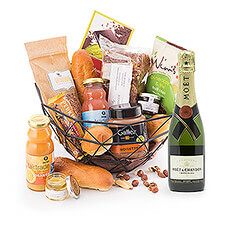 Discover our Valentine's Day gift baskets with Belgian chocolate, fine gourmet food, and other delicacies. 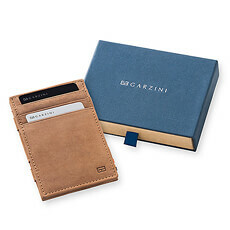 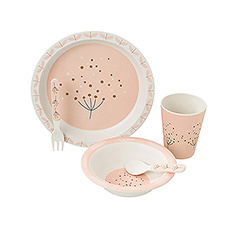 Looking for the perfect surprise to send to him or her on Valentine’s Day? 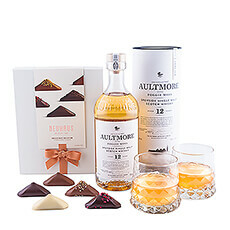 GiftsforEurope has a broad collection of romantic gifts in which you can find that the perfect gift for that special someone. 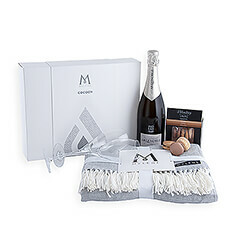 You can order your surprise online, and we will send your Valentine’s gift to Monaco with guaranteed delivery by February 14th, 2019. 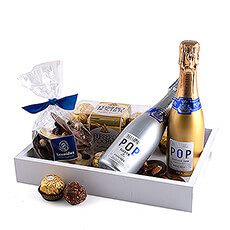 Discover our range of gift baskets for delivery in Monaco with treats that both men and women can’t resist. 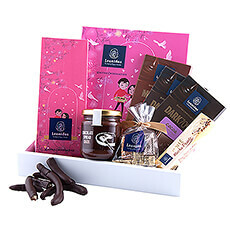 Our Valentine gift baskets contain some of Europe’s best gourmet food such as chocolates by Godiva and Neuhaus and cookies by Jules Destrooper. 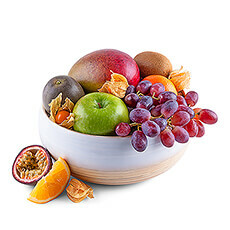 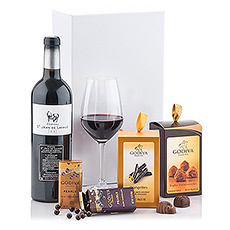 Send the love of your life a fruit basket combined with a selection of Godiva’s most delicious sweets, or add a bottle of wine or Champagne to make your gift complete. 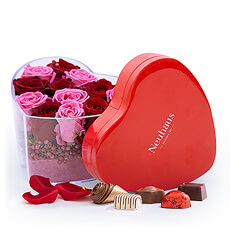 Belgian chocolatiers Neuhaus, Godiva, and Corné Port-Royal have composed romantic chocolate gift boxes with the favorite chocolates of European lovers. 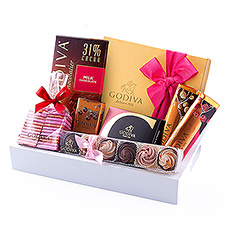 Godiva has created a heart-shaped gift box with some of its finest pralines, while Corné Port-Royal’s chocolate tower will give your sweetheart enough chocolate to enjoy for a long time after Valentine. 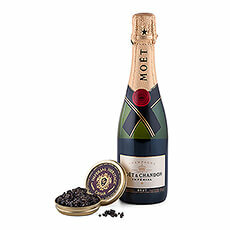 All of our Valentine gifts can be delivered with your love in Monaco with your personal gift message. 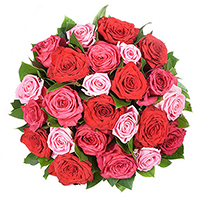 For women, a bouquet with red roses or other romantic flowers is always a great choice. 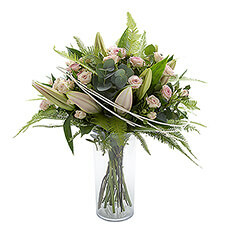 Our florists have created a unique collection of Valentine flowers for delivery in Monaco on February 14th. 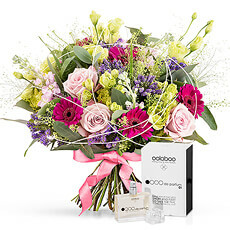 You can combine your bouquet with a bottle of Champagne and a box of chocolates, making a lovely arrangement for that special someone in your life.